Sony: SA-W551, SAW551, SA-W741, SAW741, SS-2003, SS2003, SS-2005, SS2005, SSU-4030, SSU4030, SS-VA55, SSVA55, 1-504-567-11, and many more! The repair kit worked great! saved me a lot of money not having to buy new speakers! Purchased new-edge-it foam repair kit for my old sony speakers not sure if would be a success, after carefully following the instructions which were very clear i now have my hifi sounding great again. Thank you for all your help. My speakers are from 1979, but with the repair kit from your store they were nearly like new again. These things saved me money and restored some great speakers!! This was the best investment I made to restore these amazing speakers! The best thing is they work very well and sound just like they did when I got them long ago! 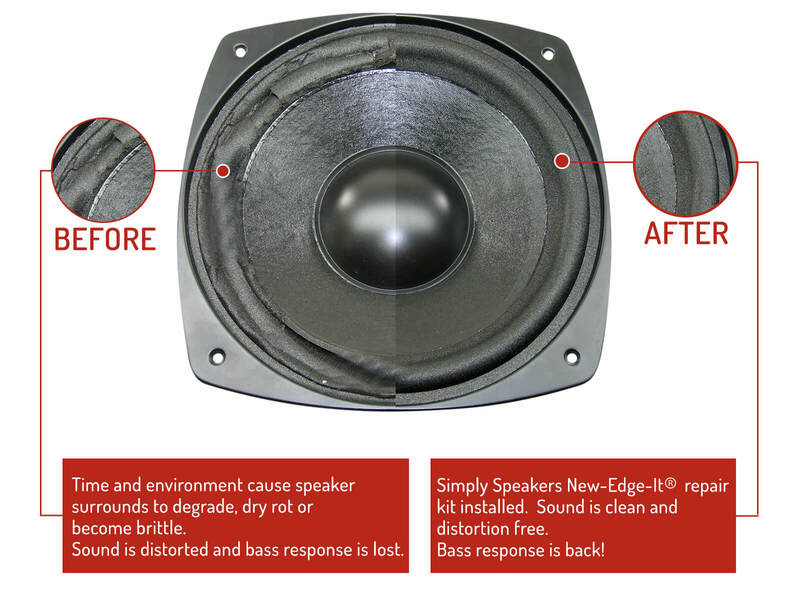 I recommend the package with the foam guard to make sure your speakers remain in great shape and sound amazing like they did before! Q: Does this product work with Sony SS-U4033 Speakers? A: Yes, this is the correct kit for the Sony SS-U4033. Q: will this fit a sony subwoofer with a 6`` cone ? A: Yes it will. Thanks! 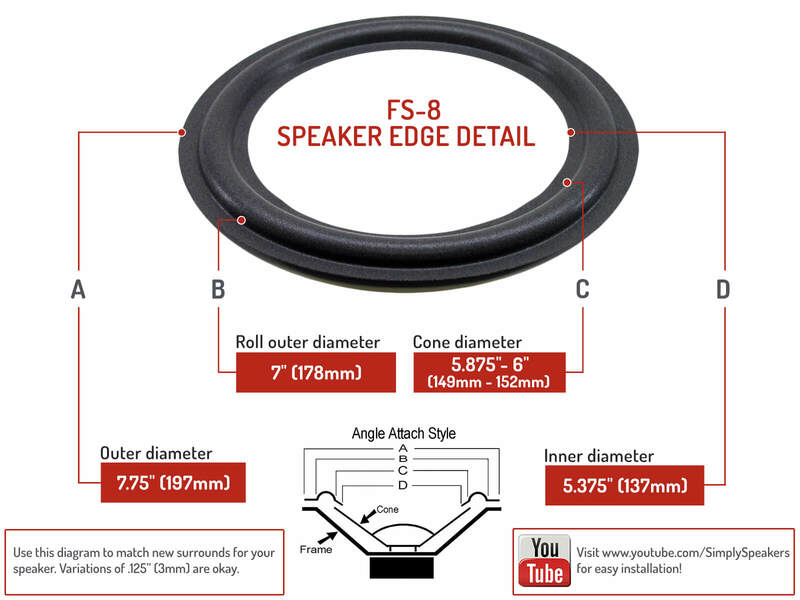 Q: I’m looking to replace the foam ring on a Sony 6.5 in woofer (1-504-394-11). I viewed your video, very informative for a first-timer. However, the foam on my speaker appears to be bonded from the underside. Is the repair process the same? Not sure how to bond the foam to the underside of the cone. Also, do you carry the replacement kit for this woofer? A: Thank you! The repair kit can also be top mounted. 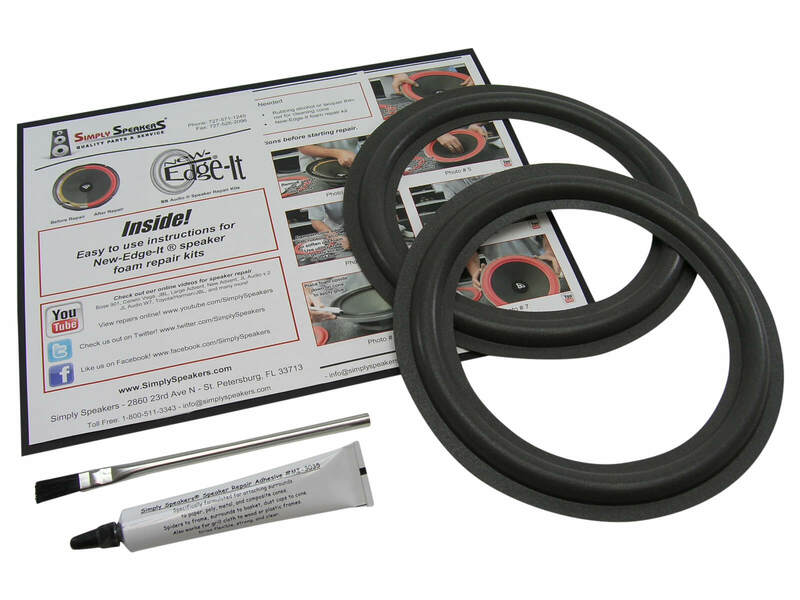 We have rear mount installation videos if needed. Check out our video links for more details. Sony: SA-W551, SAW551, SA-W741, SAW741, SS-2003, SS2003, SS-2005, SS2005, SS-U4030, SSU4030, SS-U4033, SS-VA55, SSVA55, SS EX5, SS-A715, 1-505-663-11, and many more!